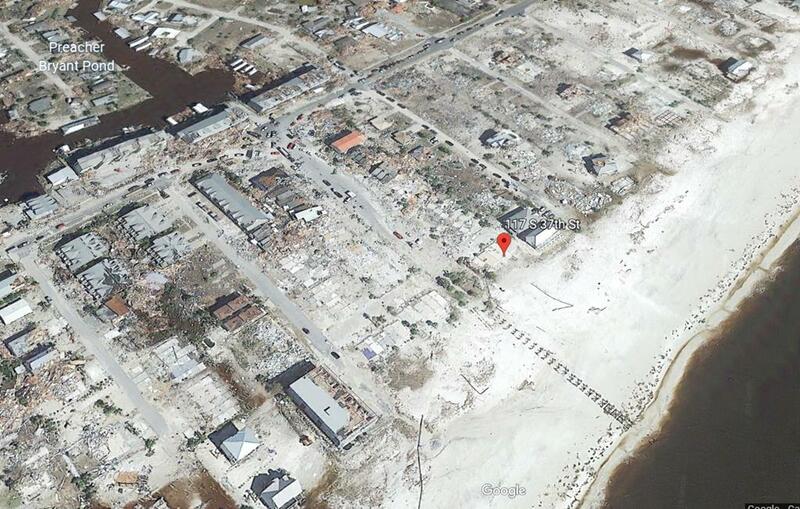 Here's your opportunity to own a gulf front townhouse lot on the popular Pier Road in Mexico Beach. Once the Pier is rebuilt, you will be able to take long strolls on the Pier and watch the locals fishing for supper. This property is one townhouse in a building of four townhouses. It is situated seaward of the Coastal Construction Control Line so a DEP permit will be required to rebuild. Hurricane Michael might have taken the structure, but the views are still spectacular in all directions. Wide, white sandy beaches await you for sunning and fishing right in front of your house. Plenty of space for parking streetside of the structure. This townhouse brought in a good rental income prior to the storm because of it's location, and will also for a new owner. It's located in a 0.2 PT flood zone. Legal Info MEXICO BEACH UNIT 5 (8.02) 213D1 BEG 41.59' seLY OF N COR LOT 8, BLK 4; TH CONT SELY 15.23'; SWLY 193.74; SWLY 15.30'; NELY 195.70' TO POB. AKA UNIT 13, ORB 1248, P 434.